ViewPoint ZebraBox Behavior Observation Chamber Zebrafish Monitoring Larvae . New Life Scientific, Inc.
And many other applications and studies. This ZebraBox is in excellent cosmetic condition and no further testing was performed because software is required. New Life Scientific technicians inspected the ZebraBox and confirmed that it is in excellent condition. No further testing was performed, because operational software is required. ZebraBox is a component of ZebraLab and allows the automated observation and tracking of larval zebrafish, and zebrafish embryos. 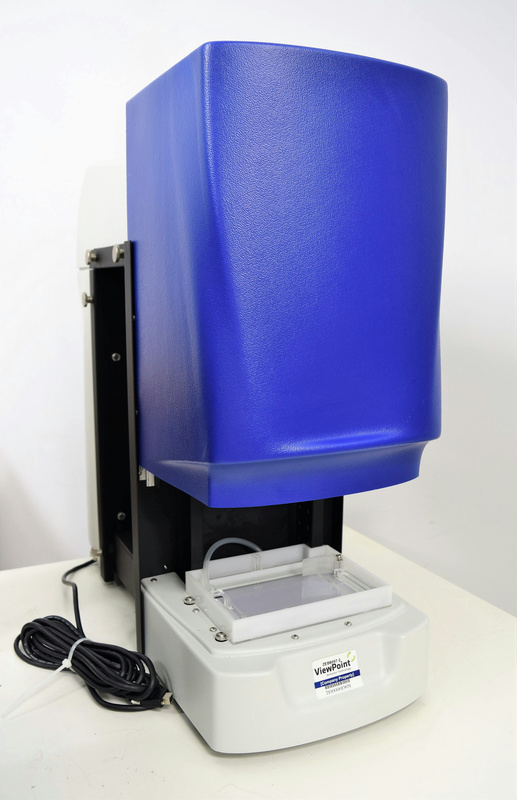 ZebraBox is capable of analyzing zebrafish larvae in multi-well plates, up to 96 individuals simultaneously. Many add-ons are available in order to fit your researches such as the fast camera, customizable top lighting, shocker module, vibration module and temperature control unit. This ZebraBox is in excellent cosmetic condition; and no further testing was done due to lack of software.